Stunning rock features and beautiful lines of impeccable stone draw my attention and captivate me. 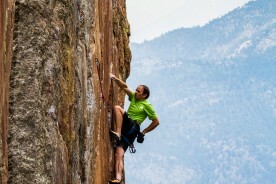 In my experience, the most beautiful lines at any crag are usually among the most difficult. Such formations inspire me to become the best climber I can be, so that I can experience the best routes around the world, and walk in the footsteps of the legendary protagonists of our sport. In 2004 I made the first onsight ascent of The Free Route on the Totem Pole in Tasmania. The climb is located quite literally at the edge of the world, ascending the most dramatic free-standing tower you could imagine, shooting up over 200 feet out of the heaving Tasman Sea. It was just me and my wife, alone in the middle of nowhere. I can still taste the sea spray and vividly recall the sense of joy at pulling onto the summit block. Variety is the spice of life, and so I like to climb on all types of rock. My favorite place to climb is the new crag I haven’t been to yet. I love to travel, and climbing has taken me to countless amazing places around the globe. Despite my wanderlust, I still think Smith Rock, Oregon is the single best crag I’ve ever laid mitts on. It has some of the most dramatic landscape on the planet, and world class sport and trad climbs at every grade from 5.6 to 5.14. 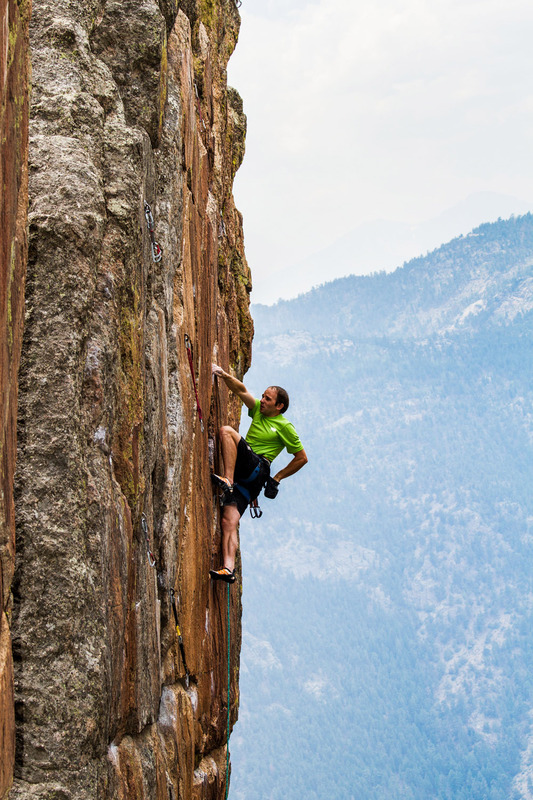 I’m an “all-around” climber, having climbed on four continents, established numerous first ascents, freed El Cap, summited Denali, red-pointed 5.14c and on-sighted 5.13b. 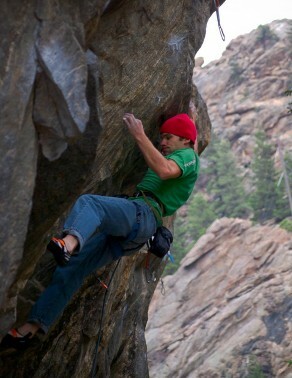 I enjoy unlocking new ways to overcome the physical and technical challenges that climbing presents. 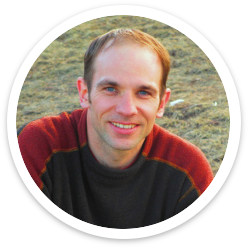 I love contemplating, developing & testing new methods of training, and I recently co-authored The Rock Climber’s Training Manual for Fixed Pin Publishing. 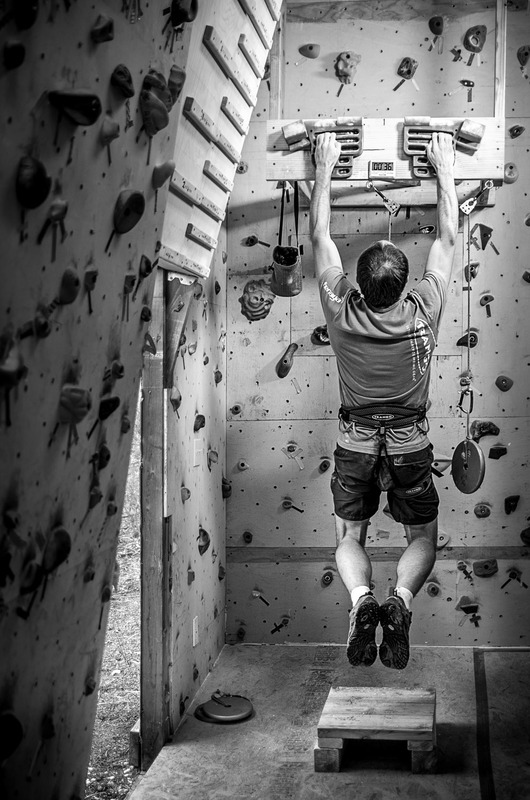 I enjoy helping other climbers unlock their physical potential by providing training guidance and coaching. My wife Kate and I have two children, Logan, who turned three years old in January 2014, and Amelie, born in the summer of 2013. 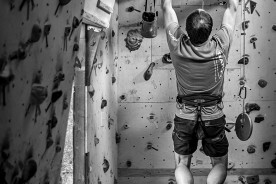 As a “weekend warrior” I face many of the same obstacles as most regular Joes, and I hope that my success can help fellow climbers aspire to new heights. My family and I live in the beautiful mountain town of Evergreen, CO, and I frequent many of the Colorado Front Range crags. 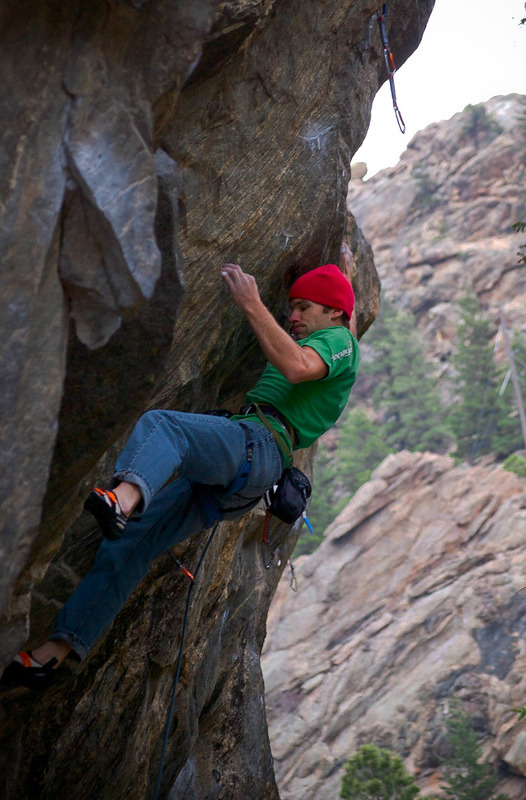 I enjoy establishing new routes of all styles, and in the last few years I’ve put a lot of my energy into developing cutting edge sport routes at some of my favorite crags.